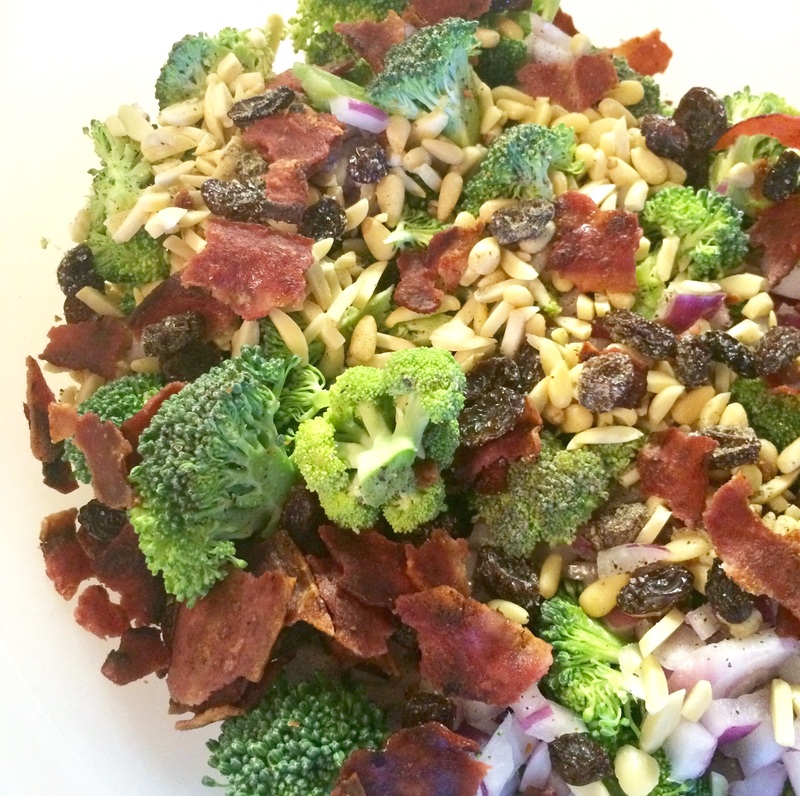 I am a sucker for yummy Broccoli Salad and since I had a garden fresh head of broccoli that Jeanne sent home with me, I was craving this light side dish like none other. Sadly, the recipe that usually gets passed around is always loaded with mayo. 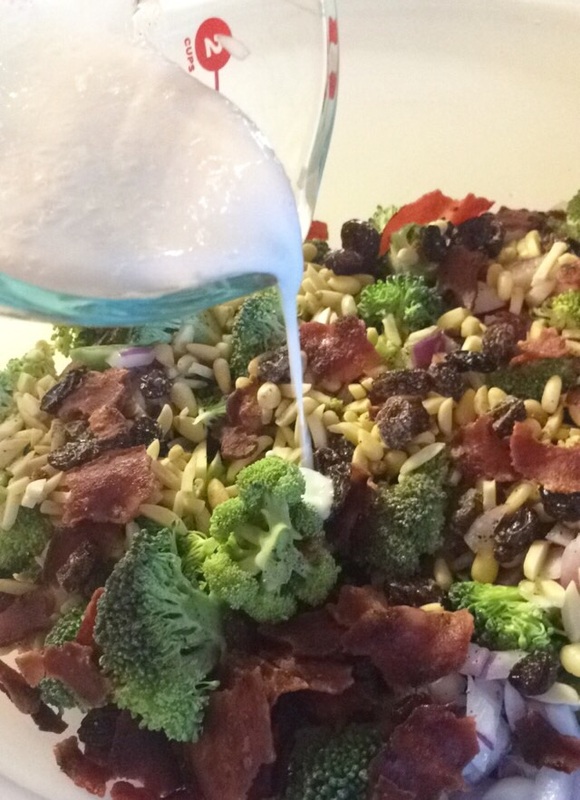 So, I went on a quest to find a lighter version and combined 2-3 recipes to make my own healthier, guilt free broccoli salad. It’s basically awesome and you should make it. All the yummy ingredients, pre-dressing. 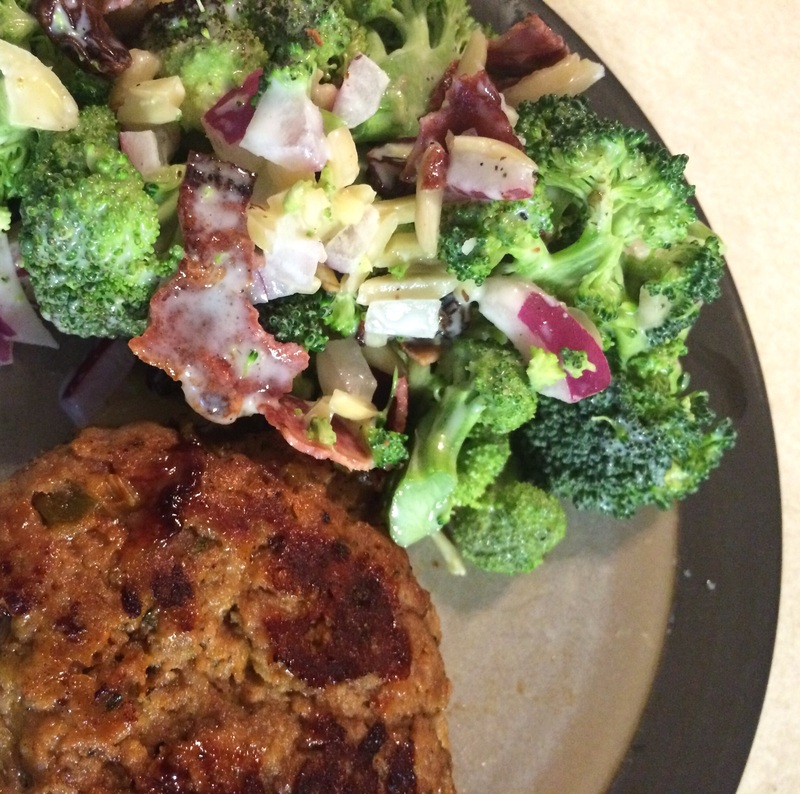 Turkey Burger Recipe coming soon!